Are you looking to broaden your knowledge within Revenue Management? Or perhaps simply looking for inspiration and a place to network? Taktikon holds Revenue Management courses in Sweden and the Netherlands. The courses are a perfect mix of practical and theoretical exercises and business cases. Taktikon provides specially developed tools which are easy to use and can be implemented immediately. All courses are set up so that participants can implement what they have learned the very next day. Taktikon provides open Revenue Management course programs scheduled throughout the year and customized training courses dedicated to your team only. 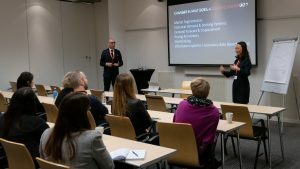 Taktikon also organizes the Revenue Forum in Sweden and Europe. 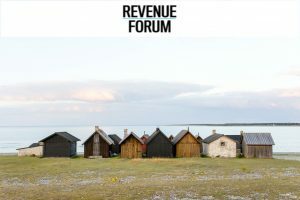 The Revenue Forum is an afternoon event that started in 2008 in Stockholm. For every event series, we choose a different industry topic. The goal is to create an inspiring meeting point for all that are interested in Revenue Management and Distribution. Revenue Forum chooses inspiring expert speakers running the discussions around the chosen topic and the event always ends with a mingle. There is no membership or special invitation required to attend. Hotel Market Seminars is the leading hospitality event around Revenue Management and Distribution in Scandinavia. Held in Stockholm in January every year, the event provides industry insights, guest speakers from within and outside the hotel industry, master classes, exhibitions and crash courses. 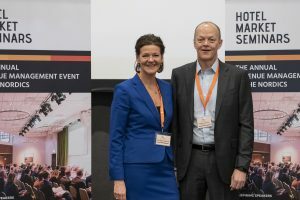 The topic at Hotel Market Seminars 2019 was Guest in focus and included inspirational guest speakers and panelists.